Okay, so I’m late. It’s after 6 pm here, and I’m just getting this freebie up for you. Sorry about that, but my mother and brother and mother are here and we’ve been doing stuff so I haven’t been able to get to the computer. 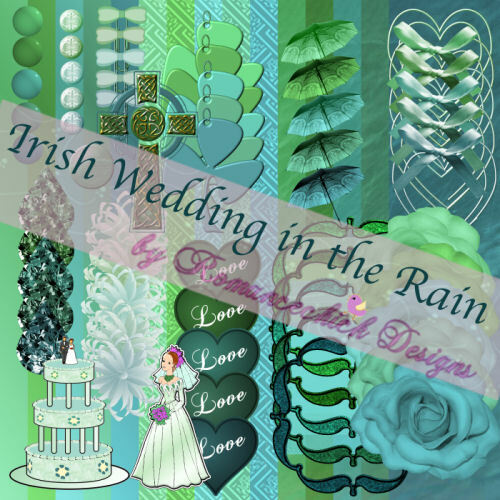 In all my stores, there is a kit called Irish Wedding in the Rain. 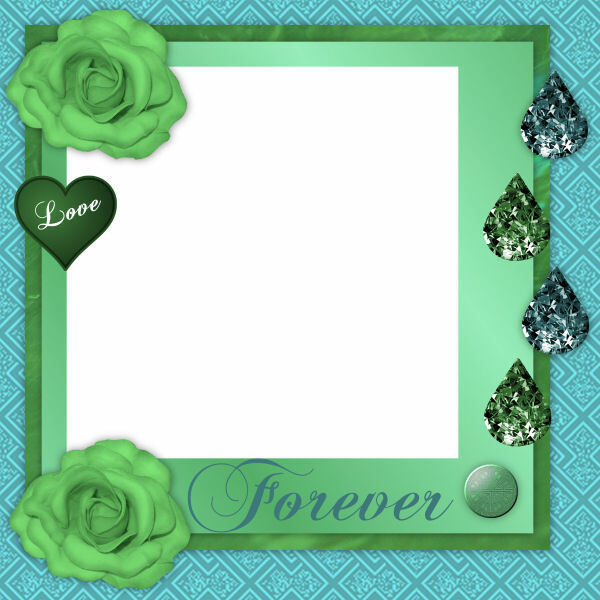 I wanted to do something a little different for St. Patrick’s Day and as the RomanceChick, I kinda like to focus on wedding stuff. Check out any of the stores on the sidebar to buy the kits. This is so cool. We were married on St Patrick’s Day 1972. Now I can scrap our pictures. Thanks!! !